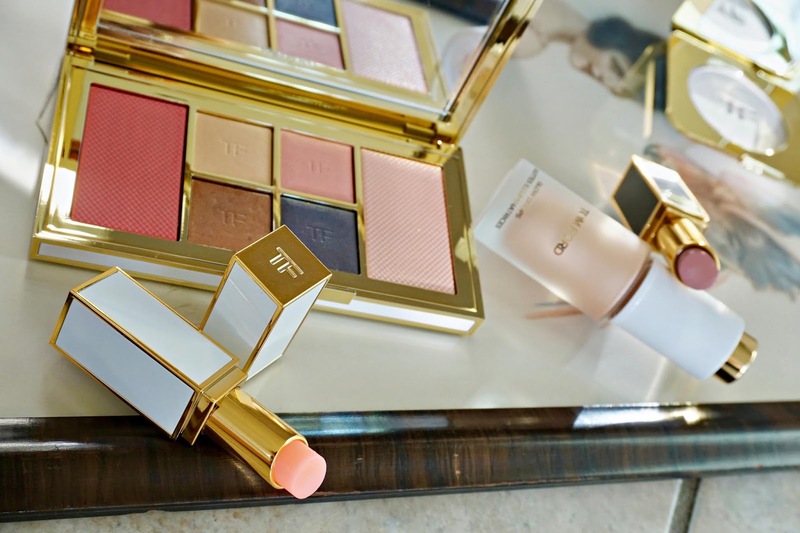 The Tom Ford Winter Soleil 2018 Collection has arrived, delivering a timely and requisite dose of sultry sunshine and inimitable glow as the cooler months continue to intensify. 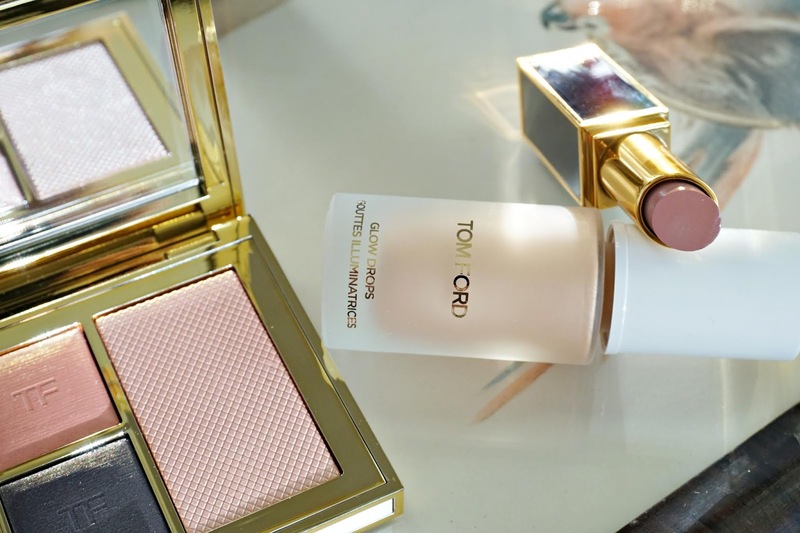 From a multi-tasking palette to an innovative liquid highlighter, prepare to bask in the sunlight of one's own creation. 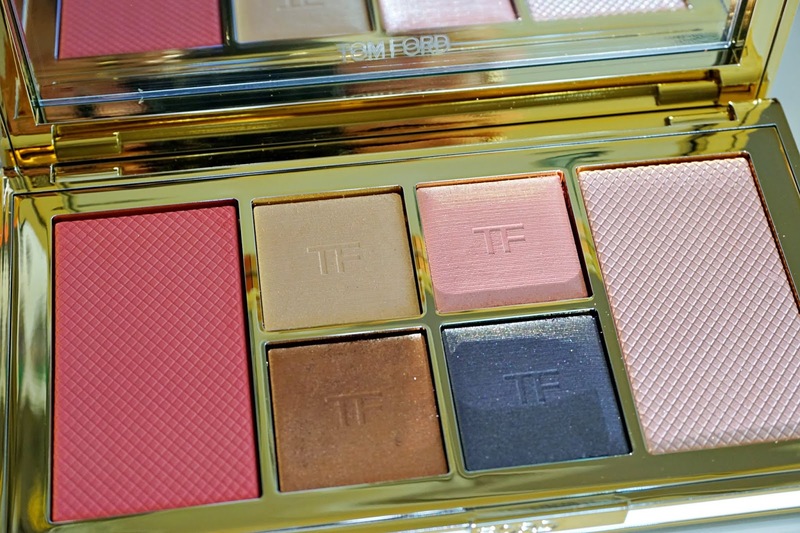 Up first, *Tom Ford Soleil Eye & Cheek Palette 2018 is for me, the most wearable palette of this incarnation to date. Each of the peachy neutral tones are one's towards which I gravitate and the cumulative effect is undeniably pretty. The mid-toned, slightly warm pink blush looks sensational on the apples of one's cheeks. There are four eyeshadows--a pale gold, fresh baby pink, lustrous bronze and regal indigo-meets-charcoal--that are all kinds of beautiful, with plenty of pigmentation and satin finishes that glow without obvious shimmer. 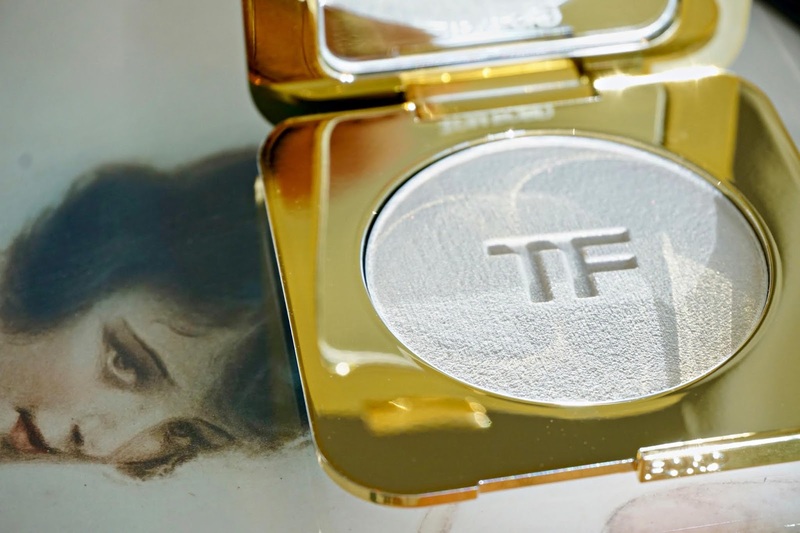 The highlighter is a pinky champagne with an almost wet (in the best possible way) effect that looks resplendent on cheek bones and other high points of the face. 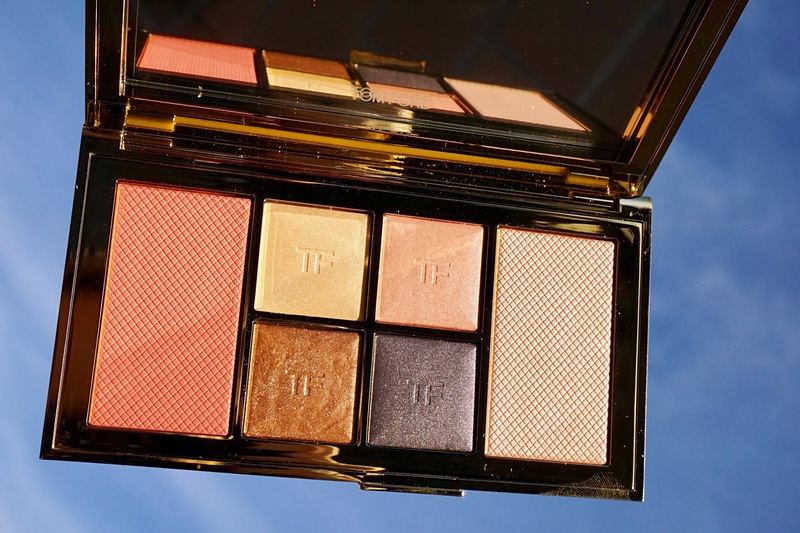 All in all, the shades in the *Tom Ford Soleil Eye & Cheek Palette 2018 are wildly wearable, making the palette a stunning yet practical gift both for one's self and a close, luxury beauty-loving friend...it is well worth the pursuit! 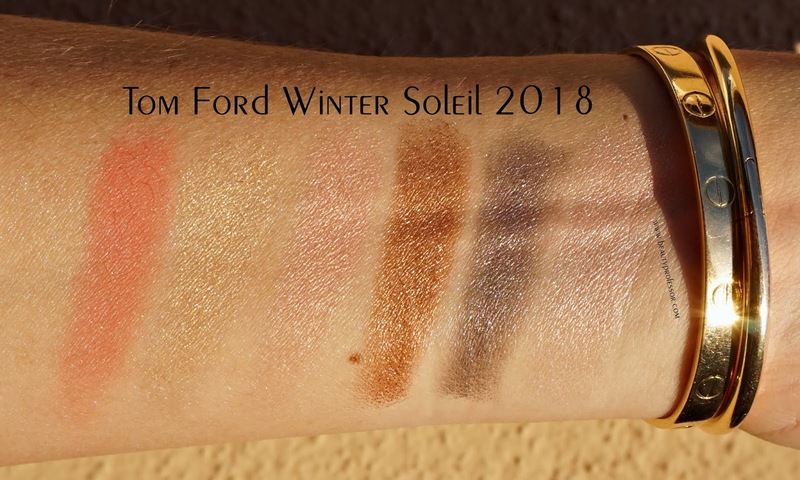 Swatches of the *Tom Ford Soleil Eye & Cheek Palette 2018 in direct sunlight. 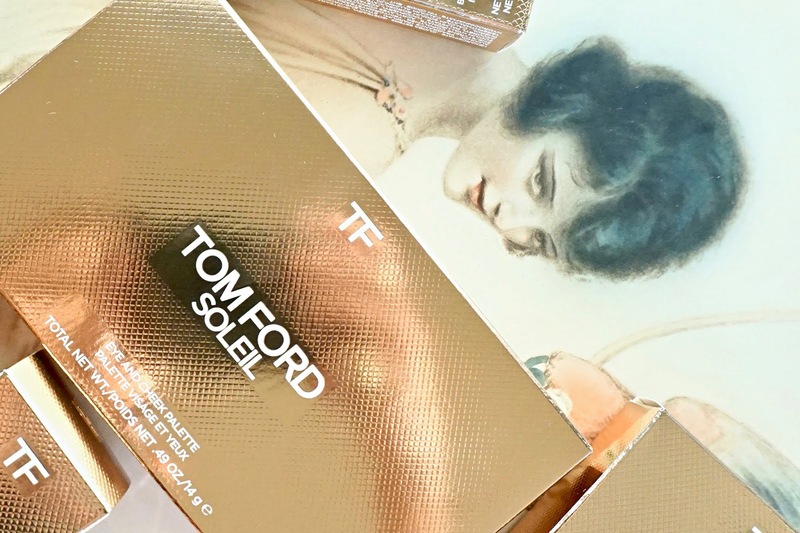 To enhance glow, I selected the incandescent *Tom Ford Soleil Glow Drops in Liquid Sky and golden *Tom Ford Radiant Perfecting Powder in Gilt Glow. 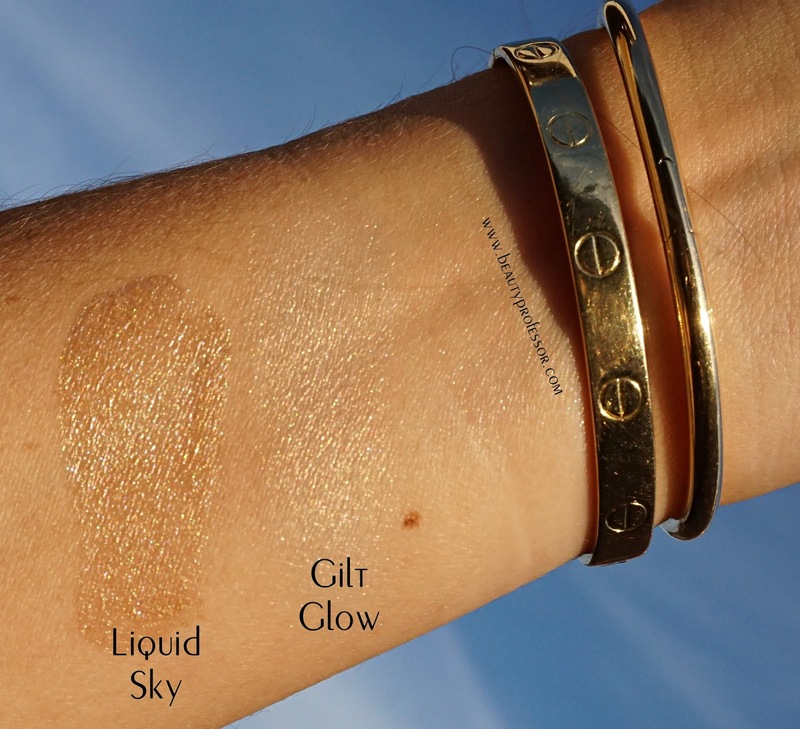 Lightweight and entirely customizable, the *Tom Ford Soleil Glow Drops in Liquid Sky is a soft bronze-meets-champagne liquid that blends under or over foundation (or can even be mixed with base) with ease. The refined and luminous color warms the complexion without overwhelming and is sure to flatter a spectrum of skin tones. 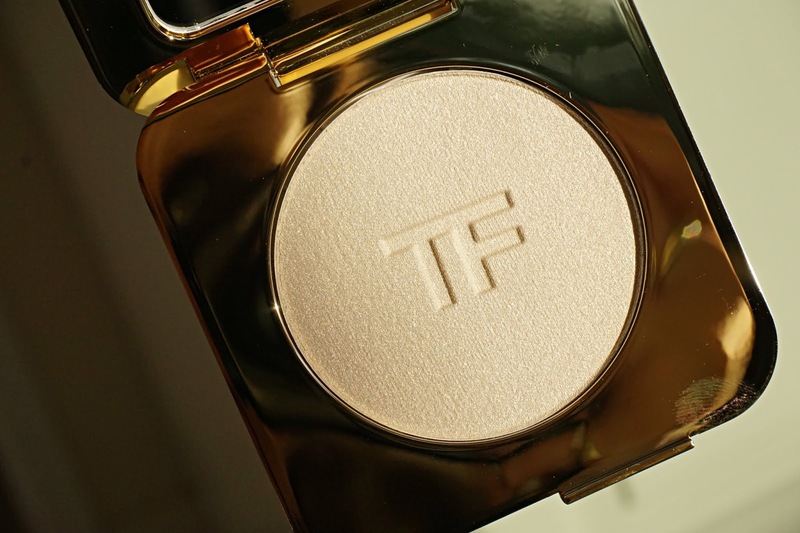 The neutral golden effect of the *Tom Ford Radiant Perfecting Powder in Gilt Glow perfects one's complexion with minimal effort. Finely milled and effortlessly beautiful, focus application of this powder on the high points of the face (forehead, down the bridge of the nose, upper cheek bones, Cupid's bow and center of the chin) for a believable lit-from-within effect. 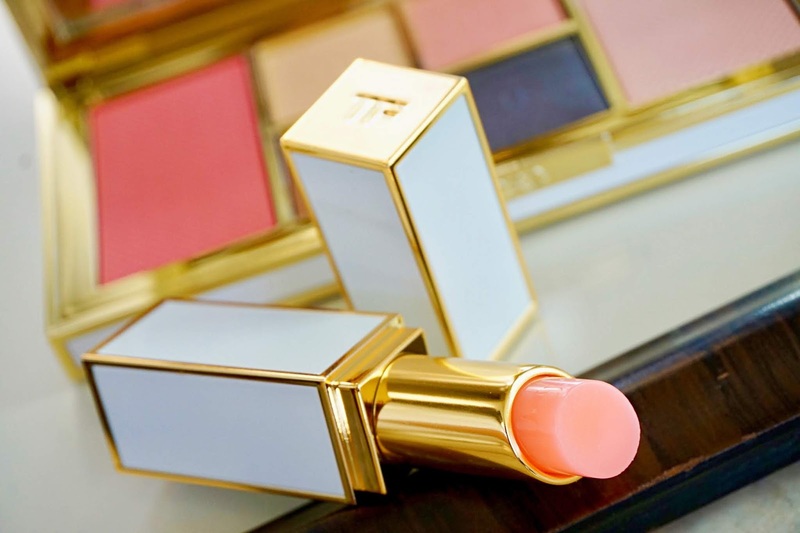 In my experience, the Tom Ford Winter Soleil 2018 Collection is complimented by a glossy mauve neutral lip and an ample dose of the *Tom Ford Satin Matte Lip Color in Preternatural topped with a slick of the *Tom Ford Lumiere Lip in Glimmer achieves this look with ease. 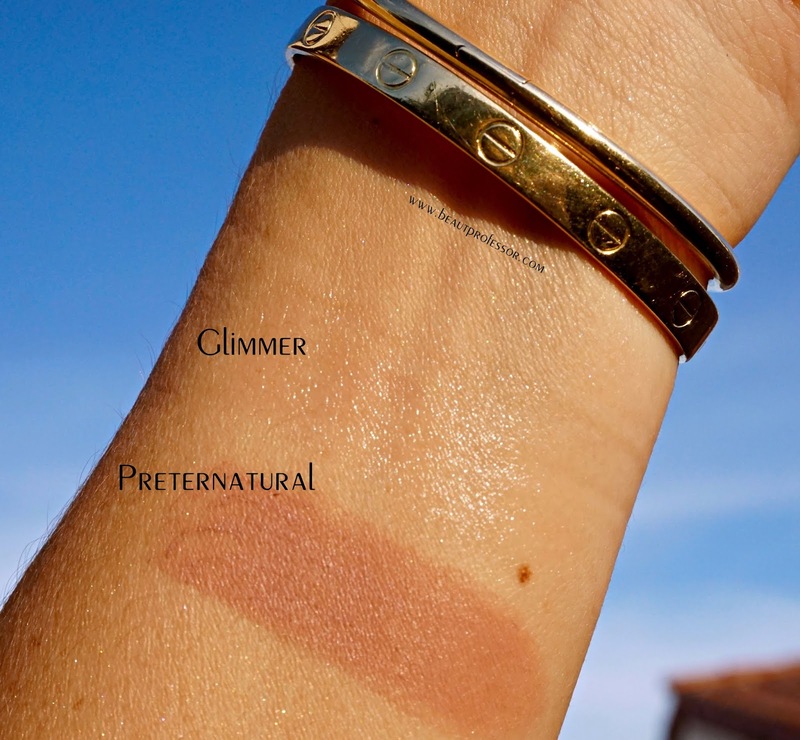 Preternatural is a fascinating greige mauve cream that somehow doesn't make one look dead. There is just enough pink to deliver life to the face while the muted tone (which is still deep enough to be worn with medium and tan skin) doesn't compete with more vibrant colors on the face. 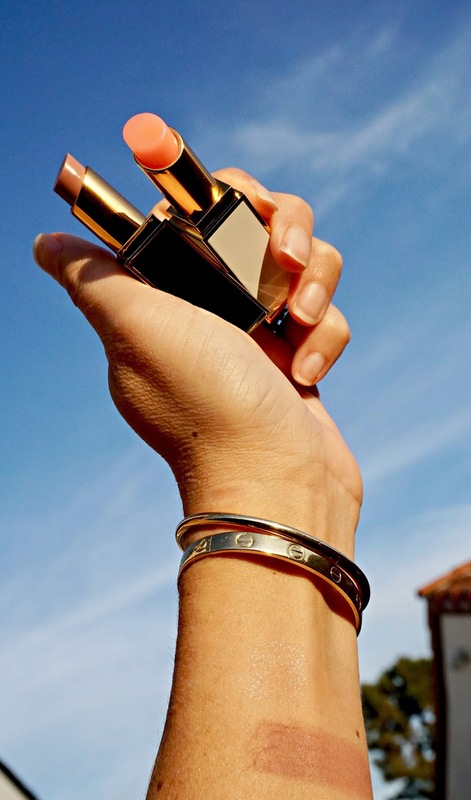 It's a refreshingly innovative take on a classic neutral lip. The pH-adjusting *Tom Ford Lumiere Lip in Glimmer is a softly radiant light pink that takes on a slightly deeper tone over time while still remaining more restrained than many color adjusting formulas on the market. Hydrating and shiny, it's a brilliant way to add moisture and dimension to one's pout. 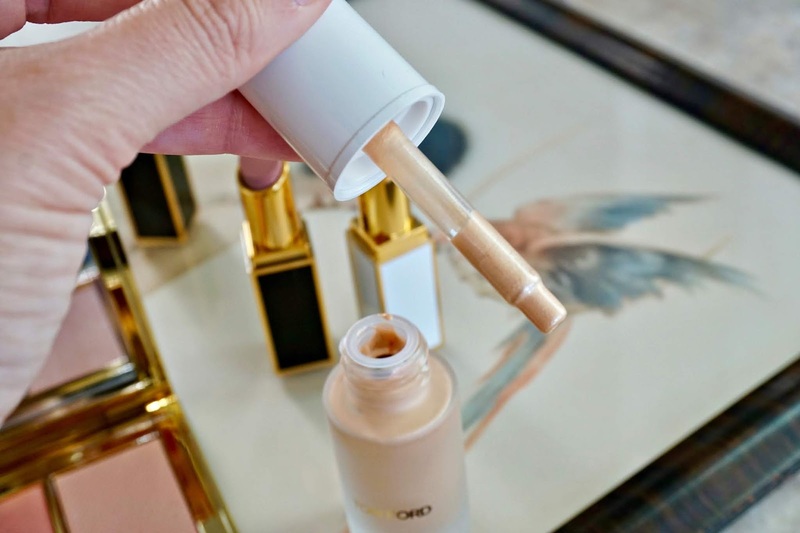 Tom Ford Traceless Foundation Stick 5.7 Dune (also available at Beautylish): Still one of the best foundation sticks on the market, I applied this creamy formula to medium coverage and find that Dune is a near-perfect match for my NC 27 skin. Charlotte Tilbury Filmstar Bronze and Glow in Medium Dark: Even though this particular shade combination is formulated for deeper skin tones, use this almost daily to lightly contour and warm up my complexion. The true brown powder looks extremely natural and the glowing highlighter doubles as a radiant persimmon-toned blush on the apples of my cheeks. Sisley-Paris Phyto Kohl Star in Mystic Green: My go-to for the lower waterline of my eyes; the deep green adds an unexpected dimension that works well with every eye look imaginable and the formula doesn't budge. BY TERRY Lash Expert Twist Brush Mascara: I love this mascara so much...for nearly a year, I've used it regularly and I have no plans of stopping. Two coats for exceptionally full and long lashes. // STYLE NOTES // A breezy yet refined floral top, boyfriend jeans of epic proportions and the most comfortable tennis shoes for a casual day out. Reformation Grove Top (also available at Nordstrom): I am having a love affair with The Reformation as of late and this top is no exception. The flattering lines and interesting materials feel like a fresh infusion in my button down-dominated closet and I cannot get enough! I am typically a small or medium in tops and ordered a size 4. It's a bit snug but still wearable and, if you are my size or so, would suggest a size 6 in this top. Moussy Boyfriend Jeans: I picked these up in NYC last month and have been wearing them nonstop since then. The Japanese denim feels vintage and pliable yet sturdy and the higher waist works well with close cut tops...highly recommended. I like these extra big and ordered a 27 (I'm usually a 25) to achieve that look. Nike Air Max 270 Tennis Shoes: Still my favorite shoes of the season, the color combinations for this model are chic and progressive and the comfort level is off of the charts! I am a 7-7 1/2 in sneakers and a 7 1/2 fit perfectly in this particular style. 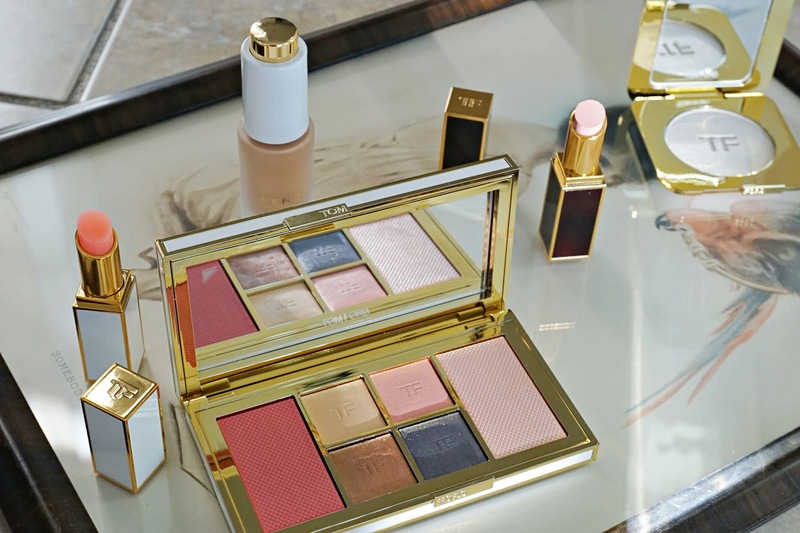 Bottom Line: I hope you enjoyed this overview of the gloriously beautiful Tom Ford Winter Soleil 2018 Collection and would love to know what caught your eye...do tell! As a reminder, my limited edition lip color collection with Christian Audette has recently launched (extensive swatches HERE and a video introduction to the shades on my YouTube channel HERE) and I am deeply grateful for your initial response to the shades etc. 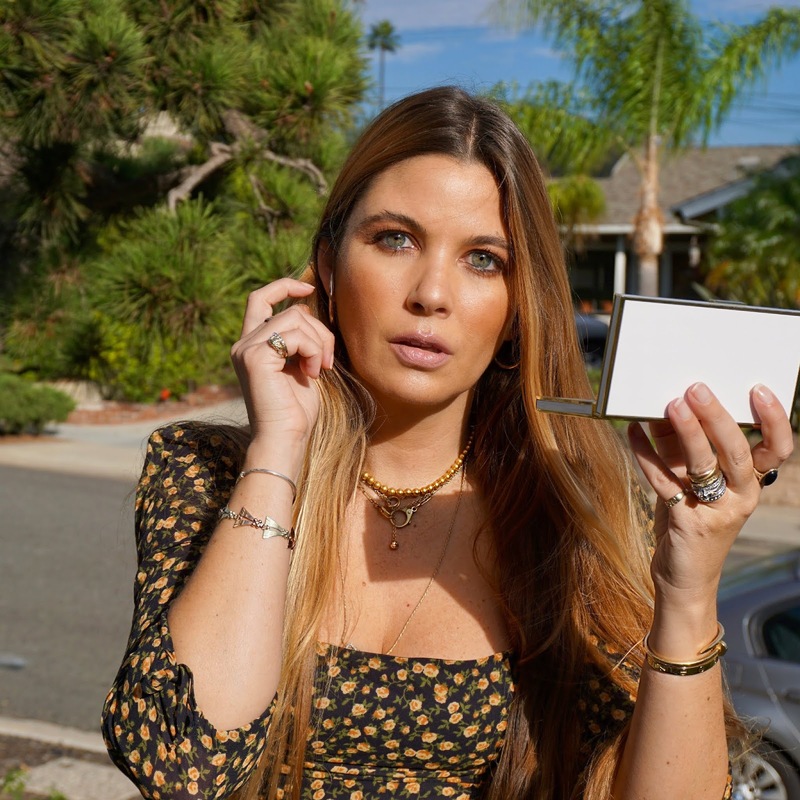 It's currently being sold as a bundle (all 3 hues in the wardrobe for $60) and, in light of the pigmented and luxurious formula (vegan, cruelty-free, paraben-free) and gorgeous packaging, this price point for an independent beauty line is a veritable steal...I hope you take a look! Good things ahead, including the very best of the current holiday 2018 offerings from some of my favorite brands, a nursery tour (can you believe Johannah is nearly 4 months old?!) and a host of new product procurements. Can't wait to share. **\PR samples provided for review denoted by an asterisk (the rest purchased by me), however, as always, all of my opinions are expressly and unequivocally my own. © 2012-18 Beauty Professor® All Rights Reserved. Do not copy, reprint or republish content and/or photos without author's written permission.